We all know that the green vegetables are some of the most nutritious for your body. However, with that being said we don’t always eat as health conscious as we should or we avoid some of the healthier options because they “aren’t as tasty”. This is where I feel like some people are mistaken about spinach and kale. I do encourage you to add flavors when making both of this veggies but I think the bad taste is a misconception that many people have. This is especially true when adding spinach or kale to a smoothie. Place your ice in blender and pulse to crush. Add the coconut milk, kale, lime juice, salt and coconut oil. Start by pulsing the mixture and then blend, starting on medium and gradually advancing to high speed. Add in your pineapple and banana. Blend until the mixture is thick and serve as desired. I especially enjoy this smoothie in the mornings to get my day started. The coconut oil acts as a natural energy booster which makes mornings a lot easier for me and the kale gives me some great vitamins to get my day off to a good start. 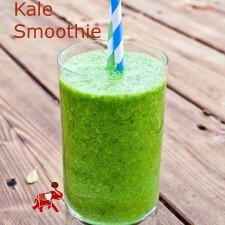 If you are skeptical about trying kale, try this recipe! Not only is it an easy recipe but you honestly cannot taste the veggie because of your fruit and coconut milk. If you aren’t a fan of coconut milk try our Strawberry Protein Shake or our Lactose-Free Shake. 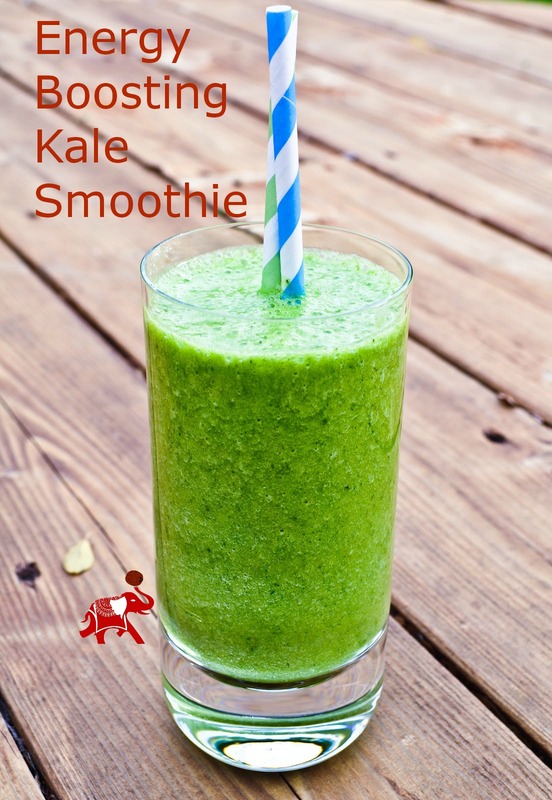 A kale smoothie would be perfect for days like today, Daylight Saving Time, when we are losing an hour of sleep and need the extra energy to recharge our bodies!